Fantastic Decals, Better the expected, Very nice items! Great product just as described. Thank you! Very happy. Fast shipper with a great price. 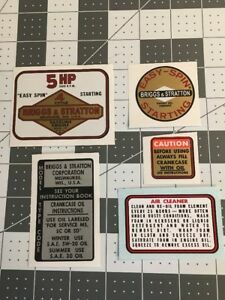 Great Briggs decal set. Looks original to motor. I will be ordering more.